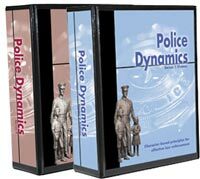 Produced on high-quality DVD by the Character Training Institute, the Police Dynamics Video Training Series provides a valuable resource for in-service or pre-service training. Please contact us by e-mail at videos@policedynamics.com to arrange purchase and we will tell you about our risk-free 30-day evaluation program. I thank God and pray for you and your family each day I awake, God sees the best in you, no matter what the world may see in you. As my Sheriff and friend, I LOVE YOU and will forever be your friend and greatful to you. You are one of a kind! You are doing an outstanding work and this is a wonderfull page and site but one can never expect anything less from you.